Hey lovlies! 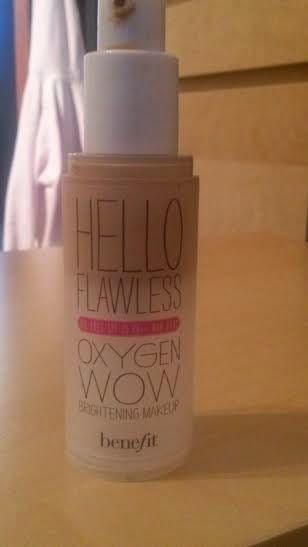 Today I'm doing a review on Benefit's popular foundation Hello Flawless. I have been using this foundation for about a year now and within that time I have only used two bottles, although you can see I am running out a little now one of my favourite things about this foundation is that it lasts for such a long time. 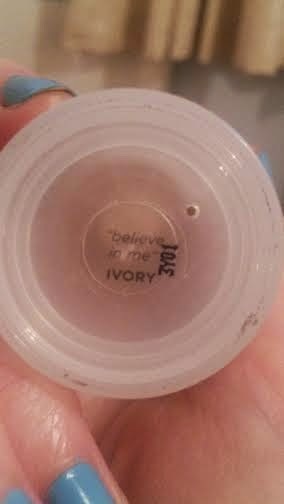 So I have this foundation in the second lightest shade I think, it might be the lightest but it's in shade Believe in my Ivory anyway which is really perfect for my skin tone, I often get asked if I'm even wearing foundation it blends in so well. Because I have quite dry skin due to me using clinique on my skin I find that a lot of foundations go patchy on my skin and don't rub in well at all but I found this one does beautifully. It never goes patchy or makes my skin look dry and I l just love how well it sinks into my skin. I would say it has a light-medium cover up, you definitely have to use concealer if you have a lot of blemishes like me but if you don't have a lot you probably wouldn't have to use extra on spots or anything. Talking of blemishes. this foundation is oil free so it doesn't add or cause breakouts which is perfect for me. However if you have quite oily skin due to not using other drying products I think that this could look quite oily and slide on your face so I would recommend using this with powder and primer. I would recommend Benefit's Porefessionalwhich is my favourite primer and eradicates bit pore's which this foundation alone doesn't do. The foundation does illuminate your skin and makes it look a lot brighter which is what it says on the packet really and it does just that. My only downside with this product is that its quite orangy, it's a very orangy foundation as opposed to one like Nars sheer glow so you can't use too much of it or you may look like an orang-outang. Also it's a very pricey foundation at around £25 which is quite steep however it does last you for a very long time and overall I am very happy with this and would recommend!